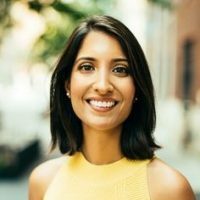 Shivani Siroya is the founder and CEO of Tala, the leading mobile technology and data science company committed to expanding access to financial products for the emerging middle class globally. Millions of people have borrowed through Tala’s smartphone app, which provides instant credit to underserved customers in East Africa, Southeast Asia, and Latin America. Tala has raised more than $105 million from leading venture and impact investors including Paypal, Revolution, IVP, Ribbit Capital, Data Collective, and Lowercase Capital.